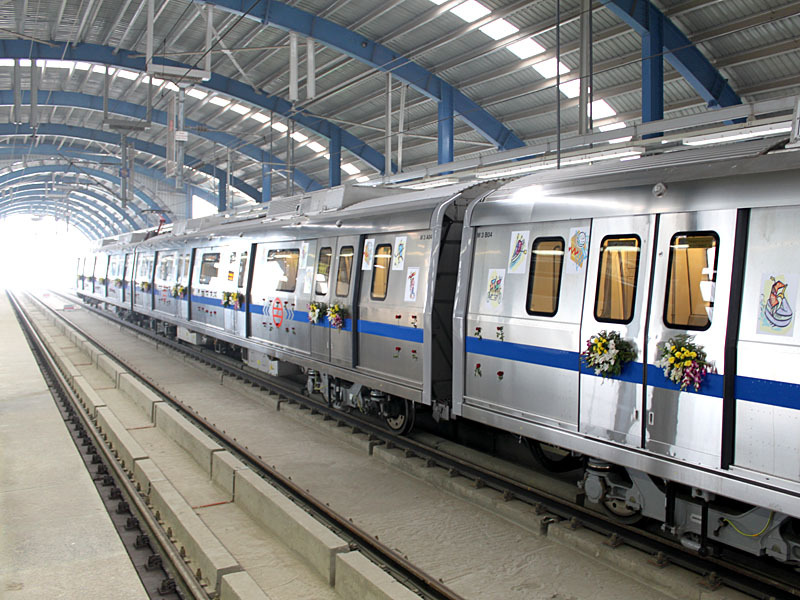 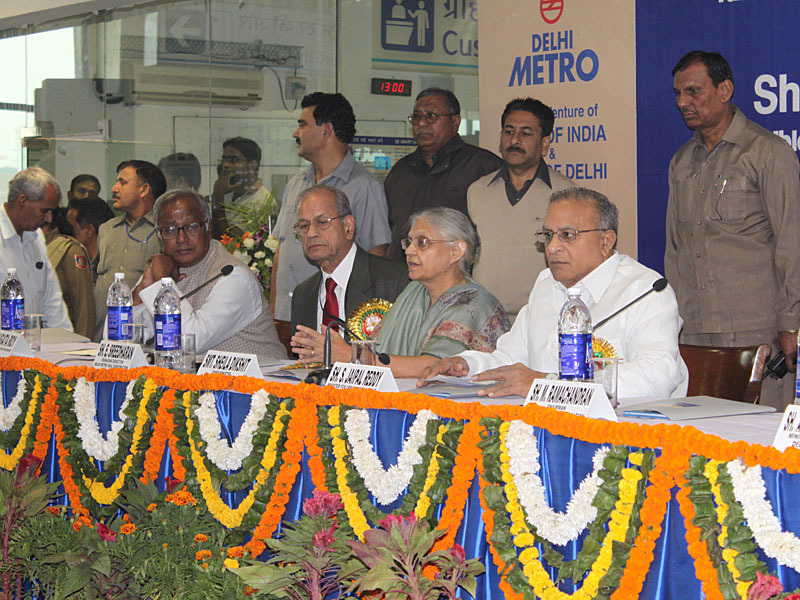 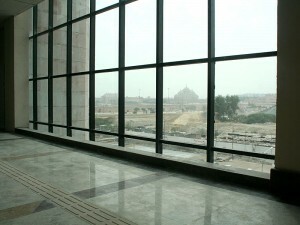 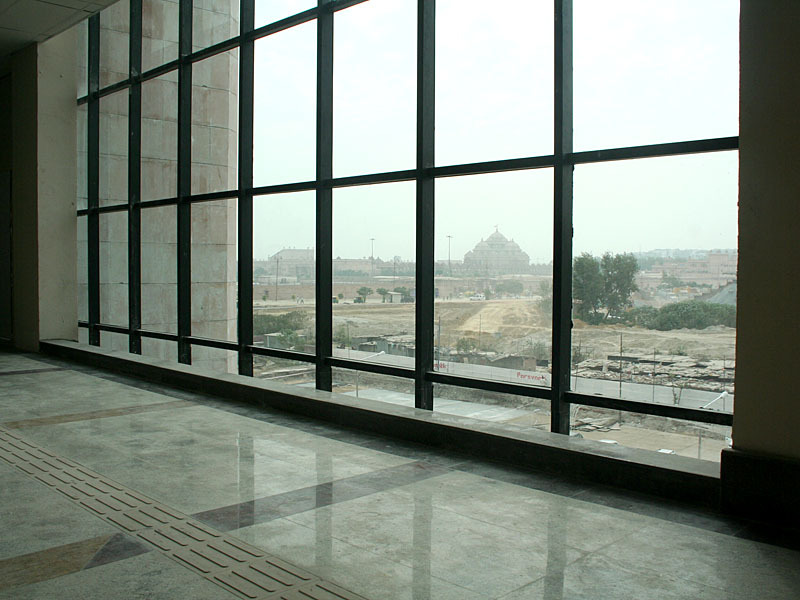 On 12 November 2009, The Minister for Urban Development, Mr Jaipal Reddy, inaugurated the Akshardham Metro Station in the presence of the Chief Minister of Delhi, Sheila Dikshit. 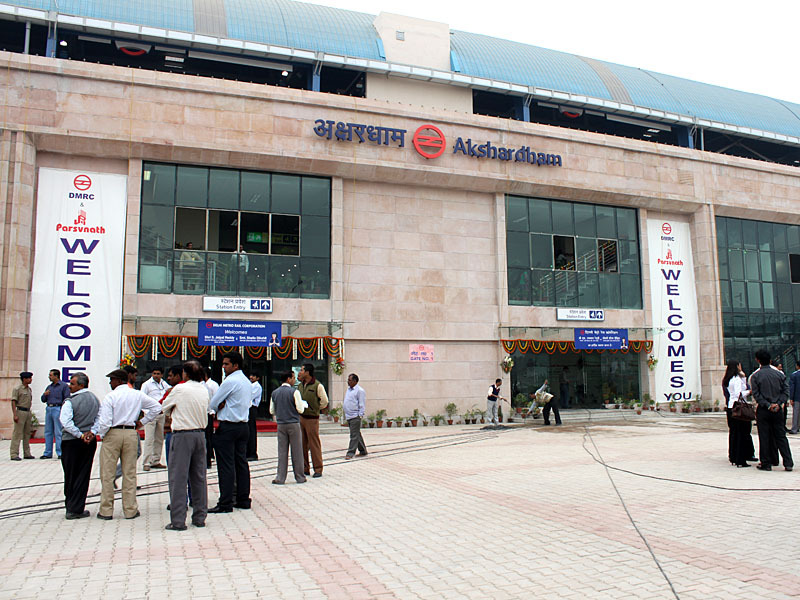 “The Akshardham station is the tallest metro station built so far, with six levels which rise to 16.5 metres above ground and go 21 metres underground. 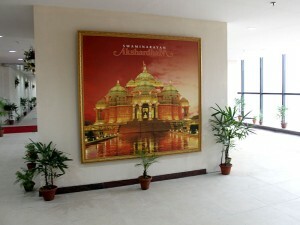 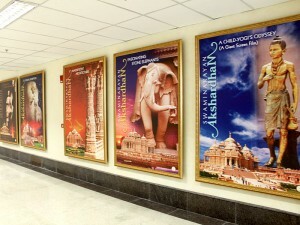 The station has been designed to complement the Swaminarayan Akshardham Mandir nearby. 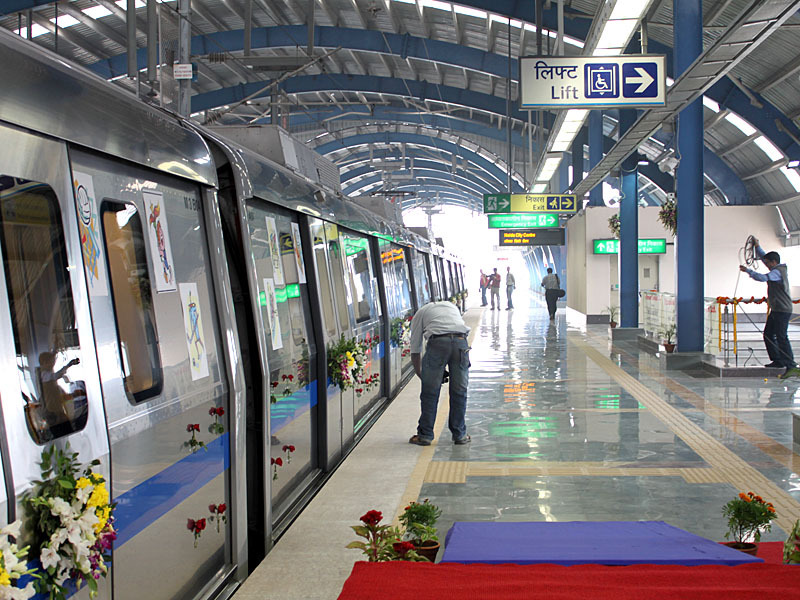 Dholpur stone has been used on the exterior just like it has been done in the mandir”, says Delhi Metro Railway Corporation (DMRC). 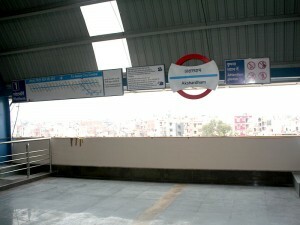 During the public consultation process, local residents unanimously requested Metro officials for the station to be named ‘Akshardham’ metro station, after the Swaminarayan Akshardham Mandir nearby. 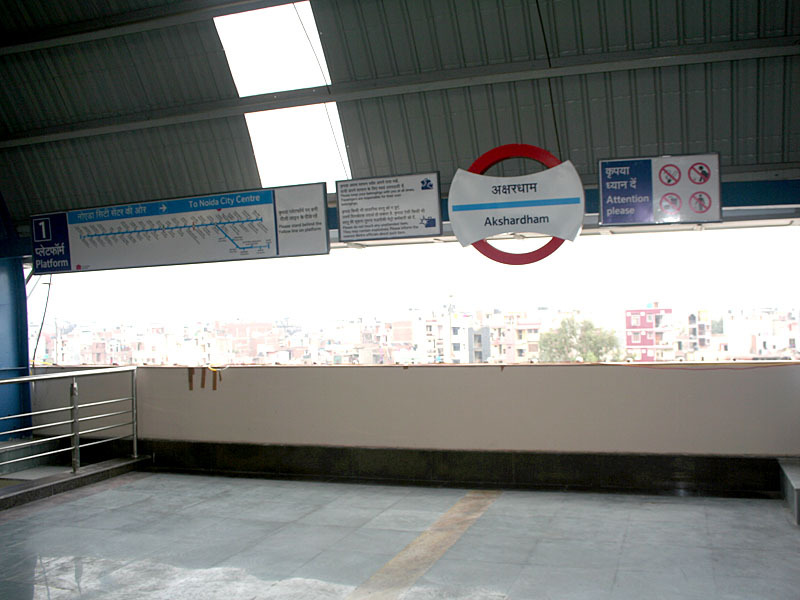 The new station forms the latest node on the Blue line of the intercity rail network linking east Delhi and the trans-Yamuna areas. 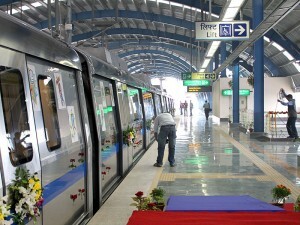 It is expected to serve thousands of commuters, easing traffic congestion and pollution in the capital. 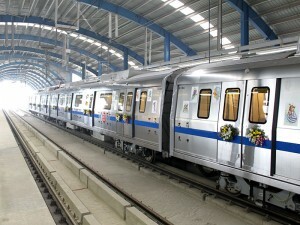 The network has been designed and built by DMRC, an independent company specially commissioned with the project and involving several multinational corporations, including from Germany, Japan and South Korea.